Alex Nero (b. March 26, 1986, Ukraine) is an American interdisciplinary artist living and working in New York City. 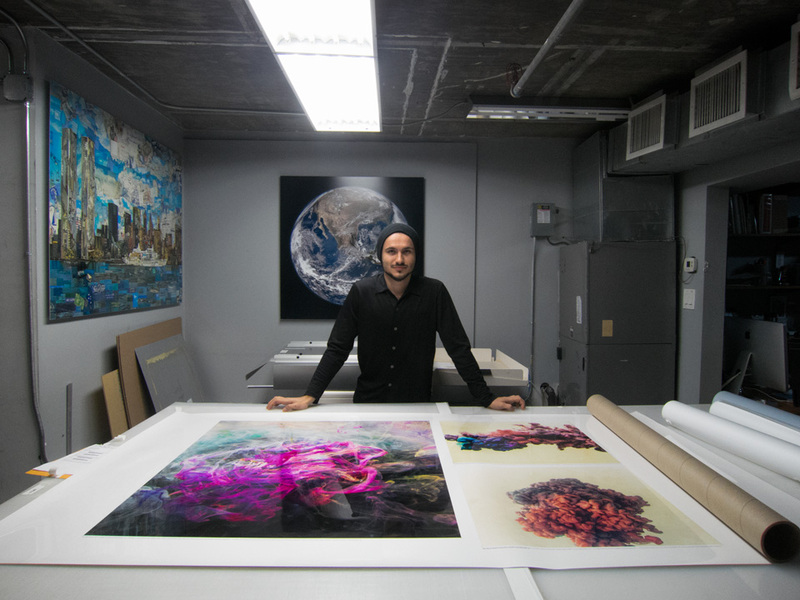 His current body of work utilizes experimental techniques with chemistry and physical dynamics of paint within vessels of water, captured by digital photography. Nero’s imagery inspires a dialogue with the subconscious, allowing a unique experience through individual interpretation. His work has reached millions and can be found in private and corporate collections throughout the world. So, in the same spirit of this kind of universal symphony I use other sorts of 'instruments' as my medium, like water, paint, mirrors, magnets and chemicals of different kinds, all 'composed' of universal subatomic energy (E), mass (m) & light (c), Einstein's symphony in 'U' flat .